Young Woman Places An Iron Bar To Cut With A Saw. Banque D'Images Et Photos Libres De Droits. Image 111828835. Banque d'images - Young woman places an iron bar to cut with a saw. 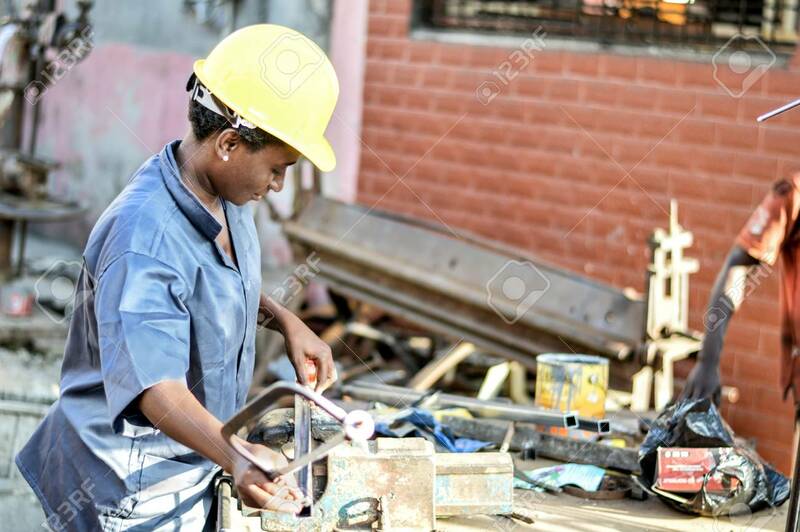 Young woman places an iron bar to cut with a saw.